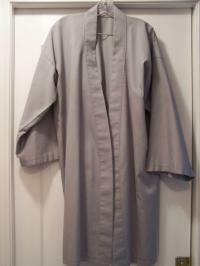 Gray hakama with matching top made of cotton twill. 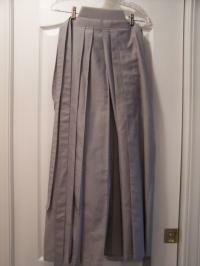 Pleats are sewn on edge. 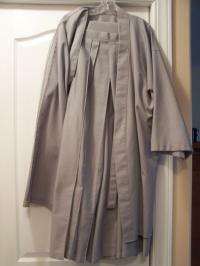 Hakama is 38" long from waist to hem. Top is 37" from neck to top's hem. Excellent condition.